After a successful exhibition last year, we're back 3 times bigger and we have twice as many people on hand to answer your questions. To find us, turn left as you go into the main exhibition hall (from the main corridoor) and we'll be on your left - just past Alti-2 and Core Skydiving. 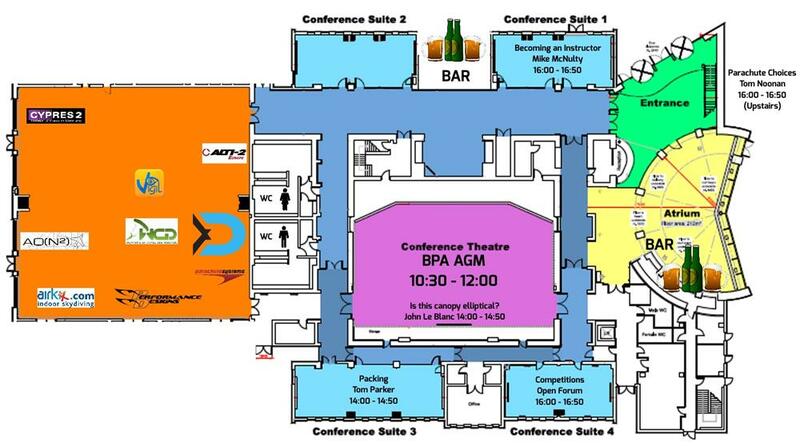 We've put together the map below where we've also marked out the other places you might want to be; other exhibitors that we work with or recommend, a suggested seminar for each conference space, and of course the bar!